With economies of scale kicking in and opportunities to cross-sell and charge advisory fee, there’s already a degree of monetisation in the space making it attractive for investors. 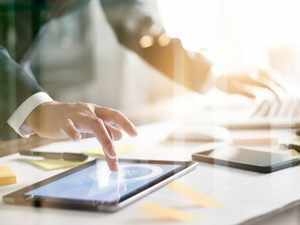 Top executives suggest that for mutual funds to go beyond the current base, the distribution model needs to go digital and platforms need to solve genuine financial problems of the consumers. BENGALURU: After digital payments and lending, the online investment market has emerged as a big theme in the buzzy domestic financial technology sector. Fighting it out are the established payments companies like PhonePe, Paytm and Mobikwik and specialised players including ETMoney, Zerodha, and Scripbox. Even as the hyper-competitive space starts to gain traction among consumers, industry executives say that making money from direct selling of mutual funds alone would be difficult. But with economies of scale kicking in and opportunities to cross-sell and charge advisory fee, these companies are looking to sharpen their business models with the intent to monetise going forward. “We have established a business model around cross-selling of products beyond direct mutual funds, and have forayed into insurance and lending. There is already a degree of monetisation which has come in,” said Mukesh Kalra, chief executive officer, ETMoney. The company says it is adding Rs 250 crore in investments every month and has created a total asset under management or AUM of Rs 2,700 crore. ETMoney is a part of the Times Group which also publishes this paper. Kalra pointed out that the entities relying only on mutual funds distribution as a business model will find it challenging. Top executives suggest that for mutual funds to go beyond the current base, the distribution model needs to go digital and platforms need to solve genuine financial problems of the consumers. Sanjiv Singhal, chief operating officer at Accel Partners-backed Scripbox, said that the online mutual fund distribution industry might be growing, but will still be less than 3% of the country’s overall mutual funds market. It is always good to get new players in the space. What we need to focus on is the business model, he said. Scripbox has a total asset under management of Rs 1,100 crore with customers spread across 1,250 locations. Direct mutual funds have always been tricky, with no distributor commission coming in, these companies cannot make money on every fund that they sell. But consumers are lapping up the option, as industry estimates suggest, among the top 15 distributors, the share of direct MF selling has grown to 35% in February 2019 from 18% in September 2017. Zerodha has around 2 lakh mutual fund investors and total assets under management of Rs 2,700 crore. The mutual funds industry is a direct derivative of the stock market which makes this business extremely tumultuous. Where can I get voting help online?